I played around and created a new recipe for Thanksgiving this year, and it must have been good because it was devoured very quickly. 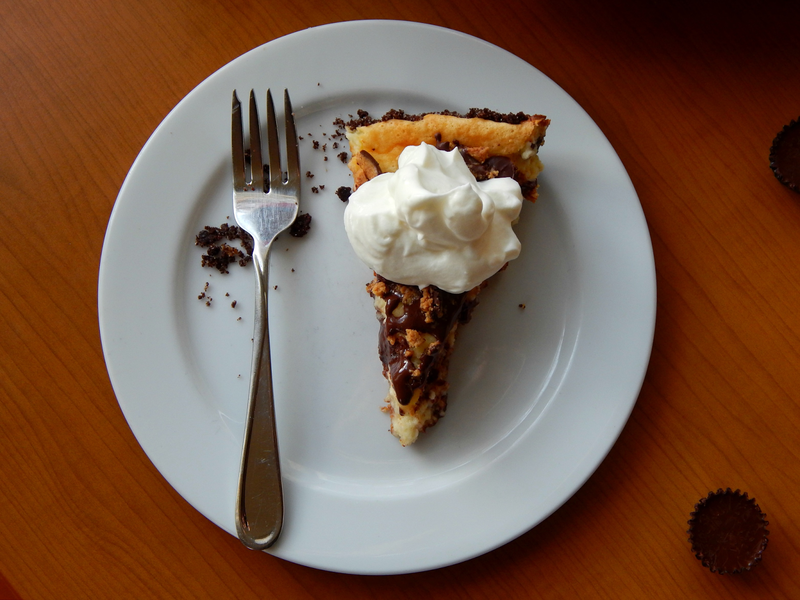 It’s actually really simple to make and has just enough chocolate with the peanut butter to be noticeable, but not overpowering with the already rich cheesecake. I learned a long time ago to spray everything with PAM Cooking Spray before cooking, because it saves so much time with cleanup, plus everything comes out super easy and doesn’t stick. I hadn’t used the PAM Baking Spray before, but decided to give it a try with this recipe. It turned out beautiful. The PAM Baking Spray uses real flour, so you don’t have to worry about anything sticking. 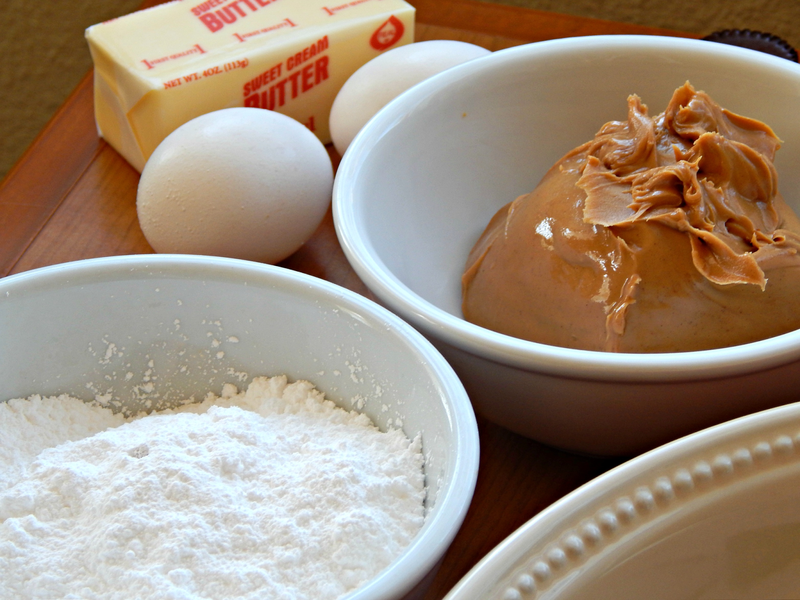 Do you remember having to butter and then flour pans before baking? To be honest, I had only done that a couple times. Of course I’d make sure that it was oiled, but there’s something about the flouring that our grandmas did that worked really well, and seems to not happen as much anymore. 2. Place chocolate crackers in bag and using rolling pin roll into fine crumbs. Pour crumbs into mixing bowl with sugar and melted butter and combine. Spray pie pan with PAM Baking Spray and then pat crumb mixture into pan until even. 3. Bake in oven for 8 minutes. 4. 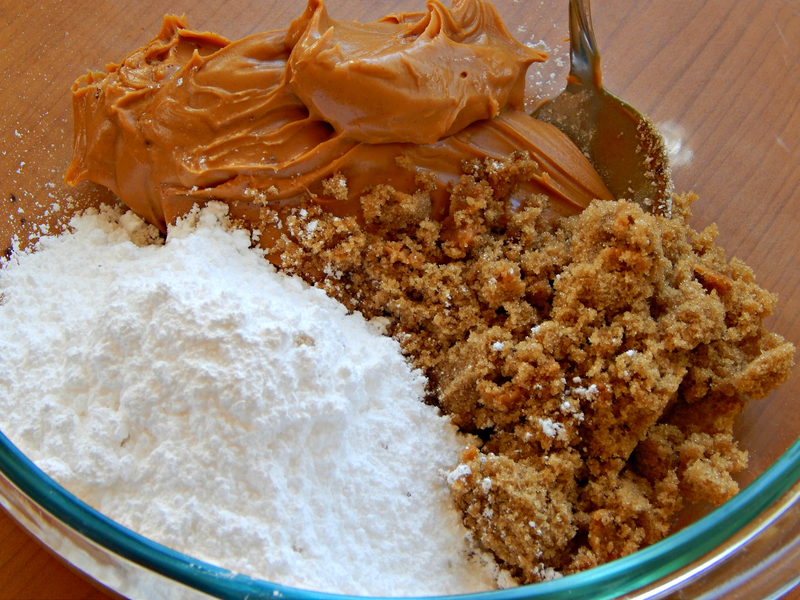 Meanwhile, mix peanut butter, powdered sugar, and brown sugar until combined. It will turn into a thick dough. Roll out on cutting board until large enough to fit in the bottom of the pie pan. 5. 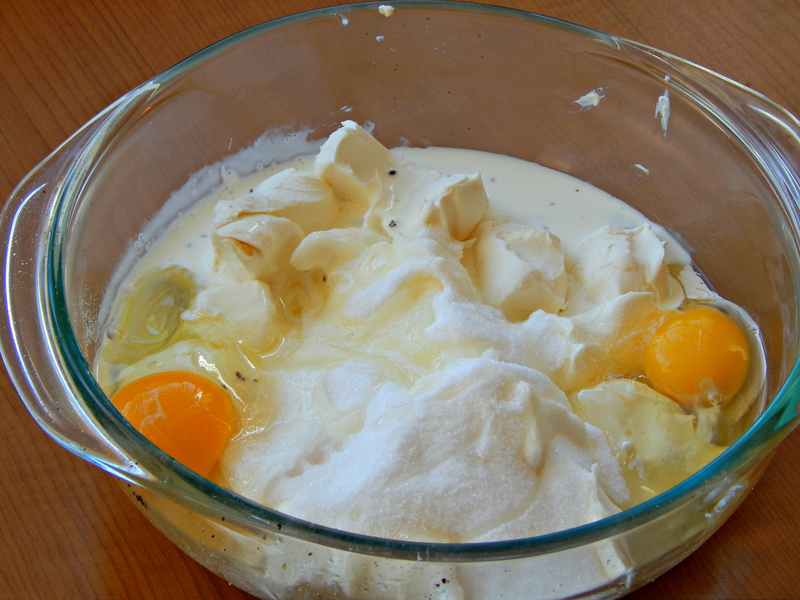 In separate bowl mix cream cheese, sugar, heavy whipping cream and eggs with mixer until smooth. 6. Take crust out of the oven and let cool slightly. Turn the oven temperature up to 350 degrees. 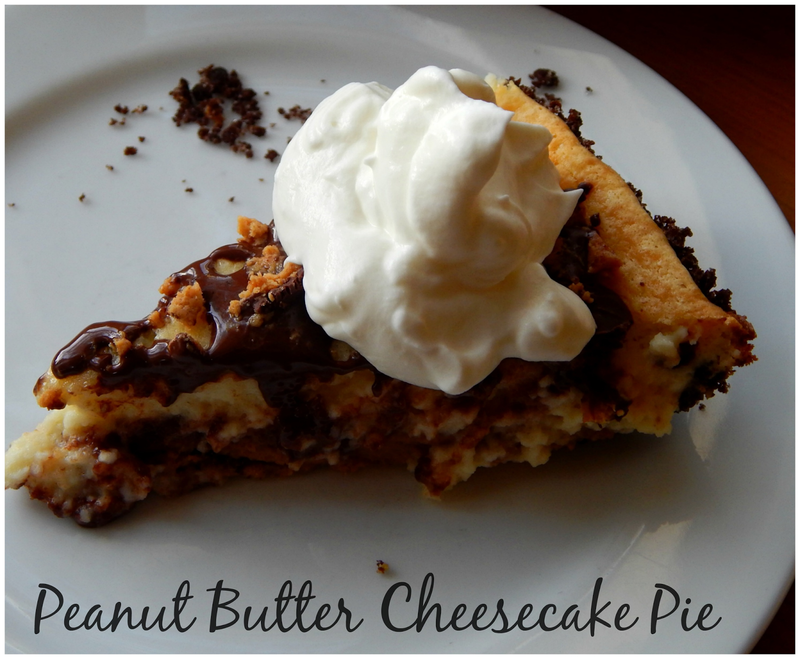 Once cooled, gently press peanut butter mixture into the bottom of the pie pan, then pour cheesecake mixture on top. 7. Bake for approximately 35-40 minutes, until browned on top. 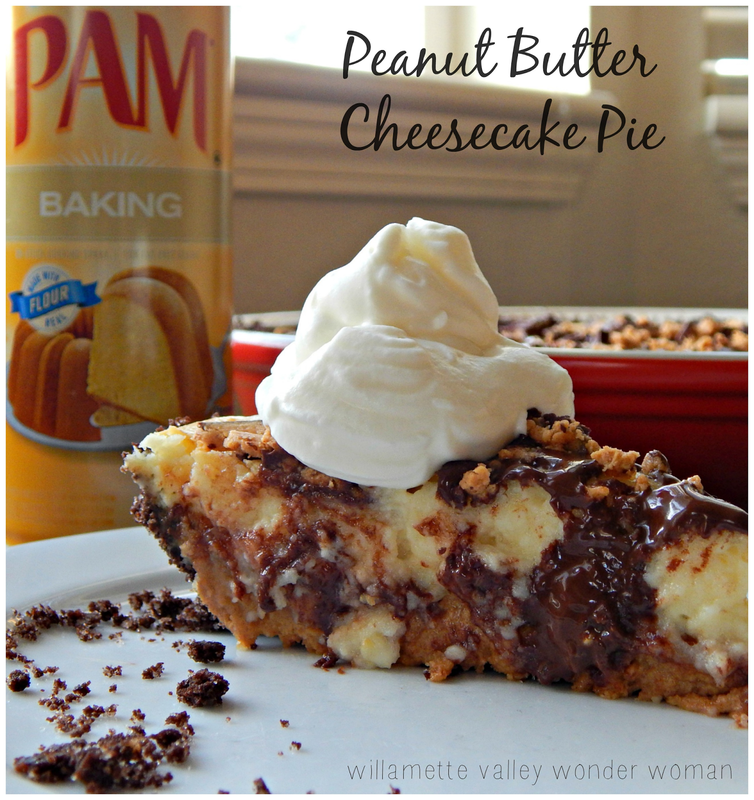 Let the cheesecake cool for ten minutes, then add chopped up peanut butter candies to the top. You can also make some whipped cream to add on the top. 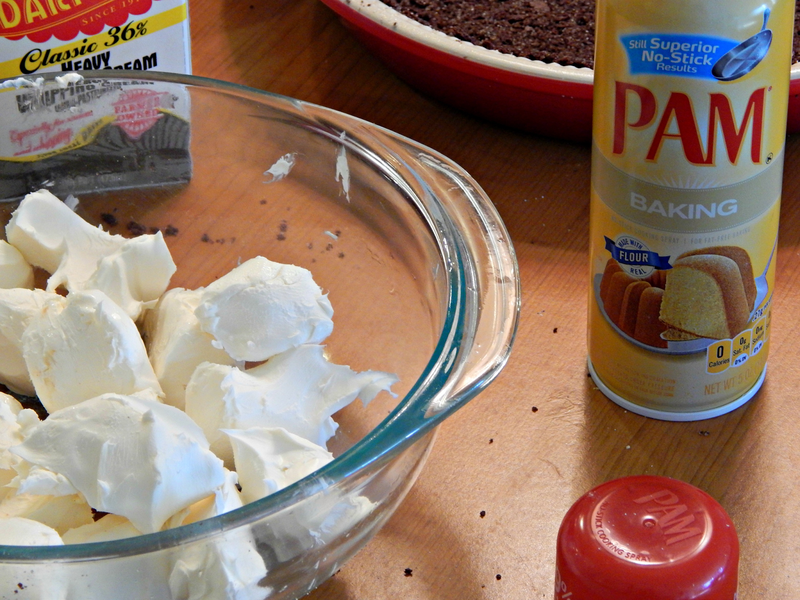 Cleanup was a breeze afterwards because with the PAM Baking Spray the pie came out perfectly and didn’t stick at all. I read online that PAM Cooking Sprays leave up to 99 percent less residue buildup than margarine or bargain brand-cooking sprays – and they are super easy to use. But Noah doesn’t care what I use to make clean up easier. 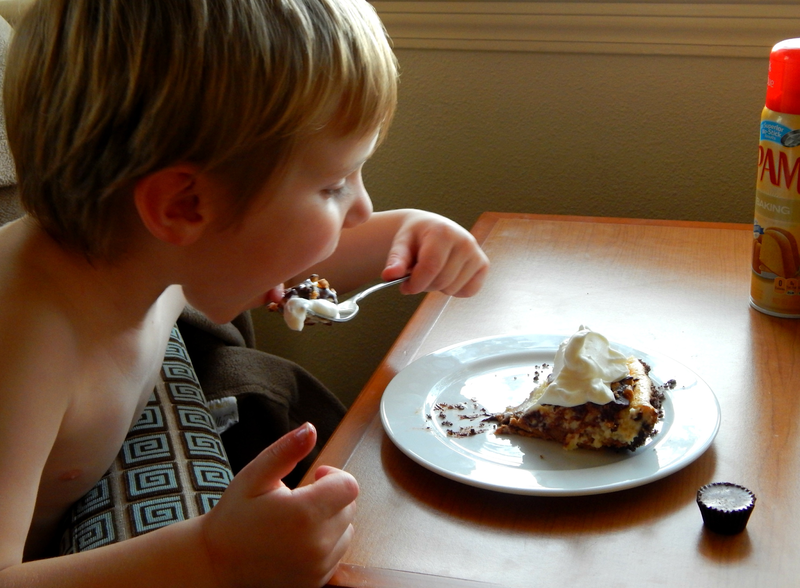 All he knew was that his mouth had been watering for an hour waiting for that delectable piece of pie. I think these pictures of his first bites are worth a thousand words. Seriously could that be any more delicious looking??? And my family's favorite baked dessert is sugar cookies because we love to decorate them. Thank you for the giveaway! I have a few giveaways going on right now come check them out. Your pie sounds delicious. 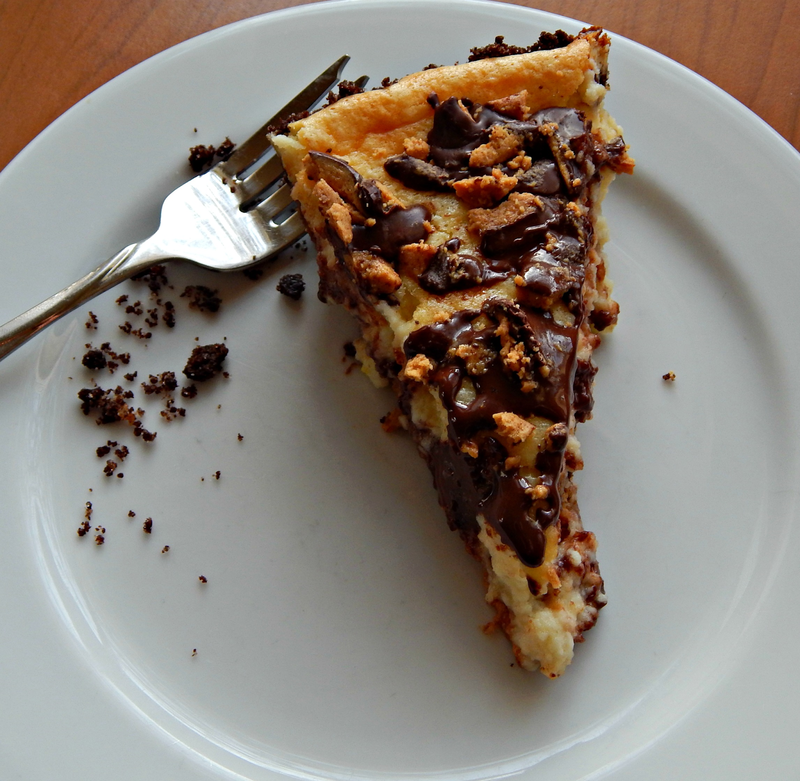 You have combined my favorites, cheesecake, chocolate and peanut butter. Sweet potato pie is always a family favorite. That may be necause we only make it twice a year. YUM! Looks like I know what I'm taking to my parents this weekend! This looks so delicious! 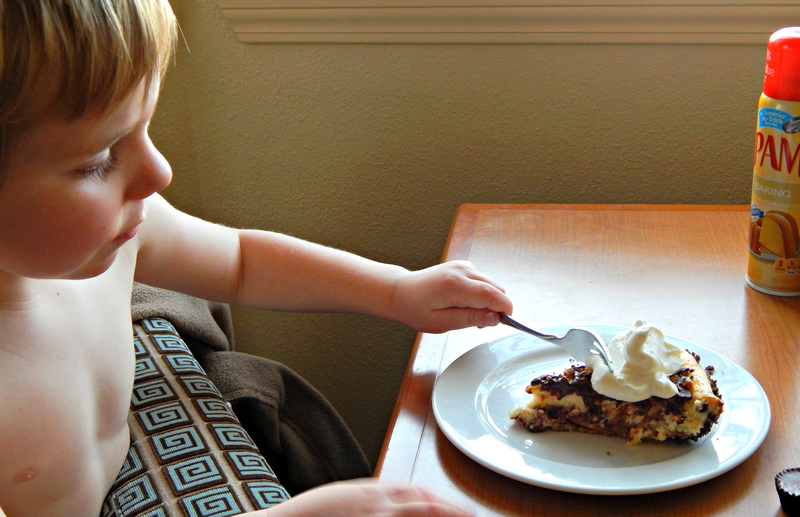 Our usual favorite baked desert is apple crisp and sugar cream pie! Our favorite baked dessert is Cheesecake swirl brownies. Looks delicious! Thanks for linking up to check me out saturday! 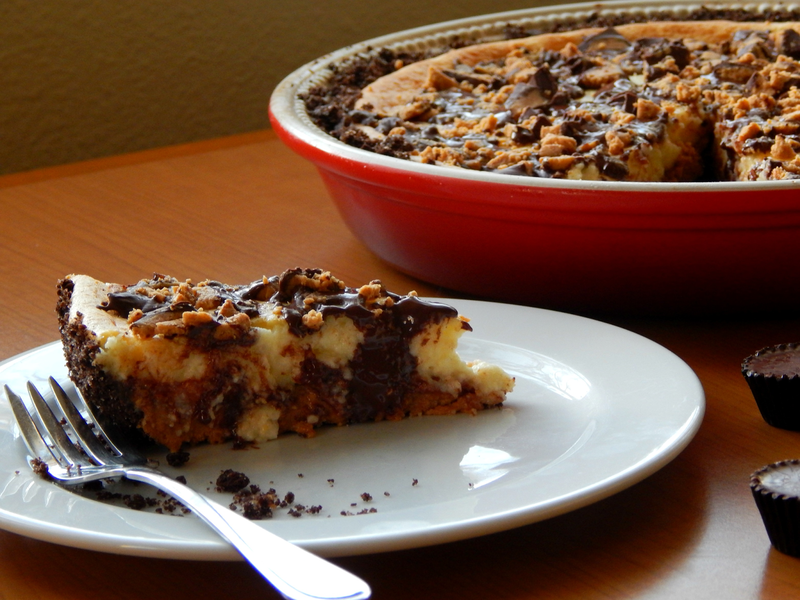 Looks delish…will be making it for work to share. Our favorite baked good is applesauce muffins and the men in this house will devour no bake cookies ! Too late for the drawing but love this pie! Thanks for linking to Less Laundry, More Linking party! This looks amazing. Thanks so much for sharing with Adorned From Above’s Link Party. Have a great week. Oh my golly…I am on a detox this week and you're killing me 😉 This looks amazing! Thanks so much for sharing at Take It On Tuesday! This is perfect! My son doesn't like peanut butter and I've been trying to make somethign that he won't devour! LOL! He doesn't like the Reese's Peanut Butter cups either. 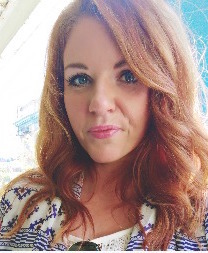 Thanks for sharing and linking up with Countdown in Style! This looks so good! I’ll have to try this out sometime!